February 2019 Update: These Zofran birth injury cases are moving forward. The MDL judge is looking for 16 cases to go to trial. Recent studies have shown Zofran, a commonly used anti-nausea drug can cause birth defects in children. Lawsuits are being filed in these cases because the drug's maker, GlaxoSmithKline, did not warn women that this drug could cause injuries to your unborn child if taken while pregnant. If you have taken Zofran and you fear your child may have a cleft lip or palate, heart defect, or another birth defect, it may be that you and your child are entitled to compensation because the injury was caused by Zofran. Call us today at 800-553-8082 to learn about your options or get a free online consultation and case evaluation. Zofran (generically called ondansetron) is a prescription drug belonging to the class of drugs known as antiemetic and selective 5-HT3 receptor antagonists. These drugs are for the treatment of nausea or vomiting from chemotherapy or surgery. Zofran is not a good drug for nausea. It is a great drug. For people taking chemotherapy in the early 90s -- you can count one of our lawyers among this group -- it was a total game changer. If you are getting chemotherapy or radiation -- particularly to your abdomen -- it can cause nausea that is absolutely awful. Since the FDA approved it in 1991 for nausea and vomiting for patients recovering from surgery or chemotherapy, it has made a tremendous impact on a large number of people. So no one is arguing that GlaxoSmithKline did an awesome thing for human suffering when it invented Zofran. That is what drug companies are supposed to do, right? It is why the successful ones, like GlaxoSmithKline, make billions and billions of dollars every year. But if you have a child that has been harmed because no one told you taking Zofran while you were pregnant could cause your child pain and suffering that could kill the child or cause them a lifetime of pain and challenges, you could not possibly care less about how the drug made you feel a little better when you were sick. Sure, this drug has done and will continue to do amazing things for people. But what inventing a great drug cannot be is a license to push the drug to people that you know or should know may be badly harmed by the drug. When drug companies see that they have a drug that is selling, that is making them money hand over fist, they almost invariably have a single reaction: how can we sell this drug to more people? Greed takes over. Does this sound like plaintiffs' lawyer's hysteria? Well, keep in mind Glaxo was fined $3 billion -- billion with a B -- to settle charges from the federal government that it committed fraud and failed to report safety data. Among other things, GSK was charged with promoting many of its best selling drugs, including Zofran, off-label. The crazy thing is that GSK did not need to do it. The company hit the jackpot with this drug. It even got some unbelievably serendipitous luck with this drug that had to astound even them. In 2006, a study showed the drug might treat schizophrenia. Another study showed it might be useful in treating antipsychotic-induced tardive dyskinesia. Then evidence came out that it might help Parkinson's Disease. There was even some evidence at one point that it helped people that were obsessive-compulsive. At that point, I'm sure the marketers at GlaxoSmithKline should not have been surprised if they learned Zofran cured the common cold. But Zofran had never been approved by the FDA for the treatment of nausea and vomiting in pregnant women. But it was prescribed for women -- again, including one of our lawyers -- for morning sickness. For most women, morning sickness is the worst in the first trimester of pregnancy. 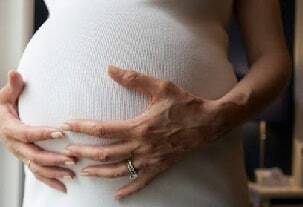 Regrettably, taking Zofran during pregnancy, especially the first trimester, has been linked to various birth defects. In 2013, a New England Journal of Medicine study suggested a causal relationship between Zofran use during pregnancy and congenital malformations. These malformations were often cardiac and craniofacial defects. Lawsuits being filed around the country now allege that GlaxoSmithKline was actively promoting the benefits of Zofran to pregnant women. It should be noted again -- because it bears repeating -- that the federal government made these same charges and that a $3 billion settlement came out of it. These lawsuits also make a critical point that will be central to this litigation: Glaxo knew or should have known that the drug would cause birth defects in children and that a warning should have been placed on the drug to make clear that this drug could cause birth defects in children. There is a drug, Diclegis, that is FDA approved to treat stomach problems during pregnancy. No one is saying Zoloft should be recalled. But women cannot make a choice unless all of the risks are explained to them. Is it that Glaxo knew or should have known? The litigation process should flush this out. Again, the antennae are especially high in these cases in light of the allegations that GSK buried safety data. Certainly, everyone knew that there are drugs that have the capacity under certain exposure conditions to trigger abnormal development in an embryo or fetus. With clinical trial testing and so many years of seeing the product on the market and its real impact on people, it is hard to believe that GlaxoSmithKline and the FDA would not know the risks of this drug on a pregnant woman. It is going to be important to figure out not only what Glaxo knew but what it willfully or negligently did not know. These cases are now pending in an MDL class action in Massachusetts with 420 plaintiffs as of November 2018. These claims do not involve generic prescriptions for Zofran. On August 4, 2017, the MDL judge dismissing claims brought against a prescription drug manufacturer for harm allegedly caused by another generic manufacturer's drug. If you think your child has been harmed by Zofran while in the womb, we can help you explore your options and determine whether you and your child should be entitled to compensation. Call us today at 800-553-8082 or get a free online consultation.